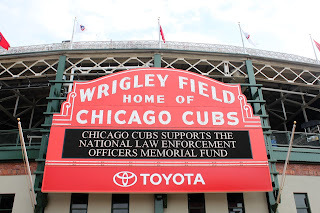 On Wednesday, May 17, the 2016 World Series Champions Chicago Cubs honored area law enforcement during their annual Law Enforcement Night at Wrigley Field. More than 1,550 law enforcement officers, friends, families and supporters came out to watch the Cubs take on the Cincinnati Reds. The Cubs won with a final score of 7-5. Everyone that bought this special offer received a Chicago Cubs Beanie Cap. 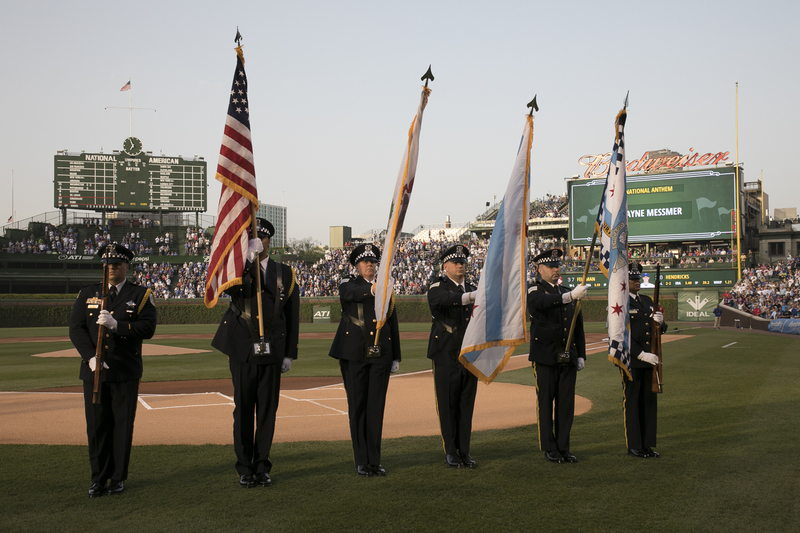 Not only was it Law Enforcement Night at Wrigley, but it was also National Police Week. 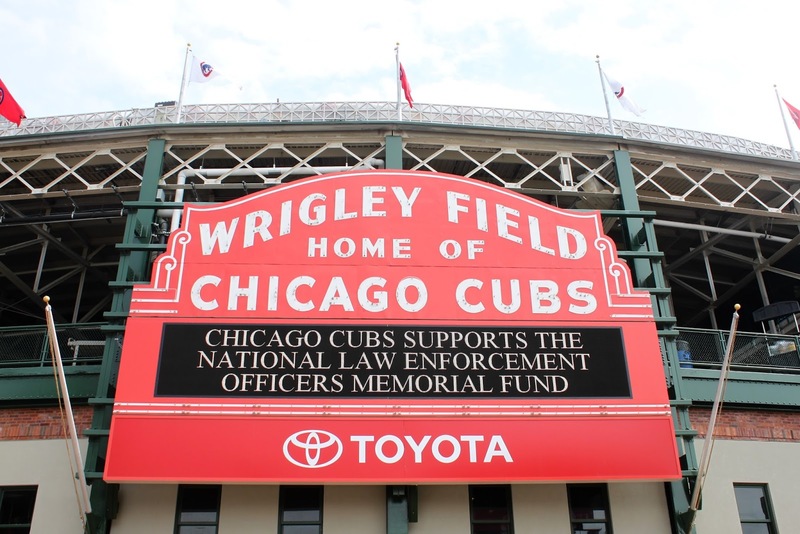 The Chicago Cubs posted a special marquee message honoring law enforcement. During the pre-game ceremonies at Wrigley Field, the Chicago Police Department Honor Guard presented the colors. Our thanks to Samuel Schlechter and the Chicago Cubs Groups Sales Team, along with James Reynolds and the Security Team, for their assistance in making this a great event. For other Major League Baseball Law Enforcement Night events, visit: www.LawMemorial.org/Sports. 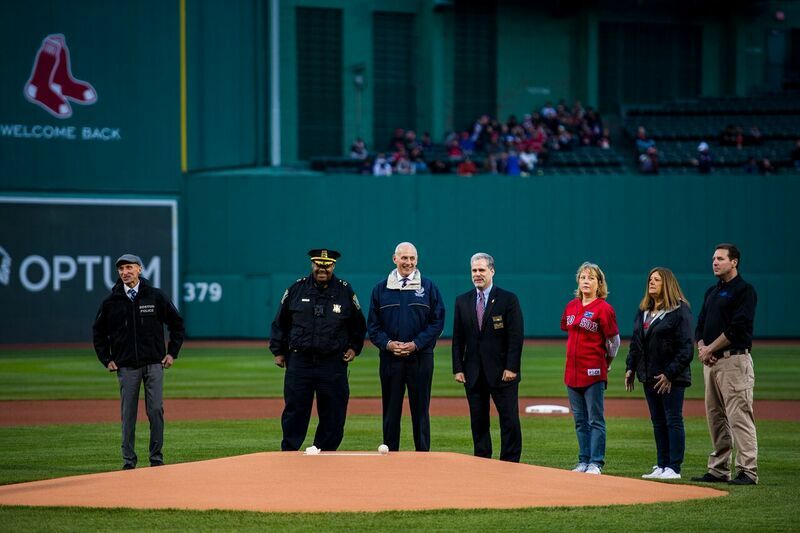 Monday, May 1, was a great night in Red Sox Nation as the Boston Red Sox honored Massachusetts-area law enforcement departments and officers, as well as the surrounding New England area, during the 6th annual Law Enforcement Night at Fenway Park. 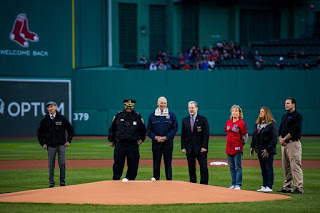 The evening’s recognition and remembrance of law enforcement started off with Pauline Carter-Wells of the Cambridge (MA) Police Department singing the national anthem as the Boston University (MA) Police Department Honor Guard presented the colors. National Law Enforcement Officers Memorial Fund Director of Law Enforcement Relations Matt Palardy threw out the ceremonial first pitch, and was joined by Memorial Fund Board Vice Chair Jon Adler, the New England COPS Chapter and U.S. Department of Homeland Security Secretary John F. Kelly. Children of fallen officer families had the opportunity to say "Play Ball" at home plate before the game. Families of the officers who were killed in the line of duty in 2016, and who will be remembered and honored during the 2017 National Police Week, were also honored on field before the game. This special night also gave Memorial Fund the opportunity to promote the Stand With Honor (www.StandWithHonor.us) program to a diverse group of law enforcement leaders and associations. The Boston Red Sox ended up falling short to the Baltimore Orioles in an exciting game in a final score of 5-2. 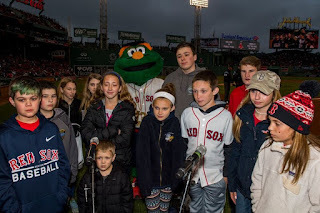 We would like to thank the Carl Grider and the Boston Red Sox Group Sales Team, Boston Red Sox Security Team, Boston Police Department, New England COPS Chapter, New England Association Chiefs of Police and the Massachusetts Police Association for their support of this event. For the latest schedule of law enforcement events with Major League Baseball Teams visit www.LawMemorial.org/sports.